It’s amazing what can trigger a childhood memory. A smell, a song, a photograph – the simplest thing can take you back in time to an exact moment where you were when it originally happened. For me it’s whenever my dad’s birthday rolls around, every December, that instantly reminds me of being a five year-old boy, confused while listening to my mother trying to explain why someone would kill a man so beloved by millions. It was approximately October 1980 and I had just been exposed to John Lennon for the first time. Lennon had been out of the spotlight for quite some time as his music career had taken a backseat to full-time fatherhood. With a brand new album to be released for the first time in 5 years that November, Beatles and John Lennon songs were in heavy rotation all over the radio. 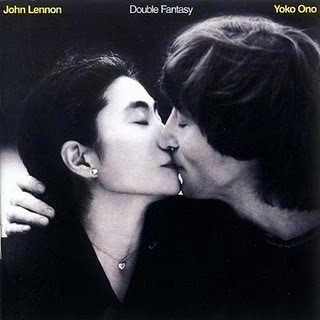 With major anticipation for Lennon's comeback, the first single, “(Just Like) Starting Over”, from the forthcoming album Double Fantasy, could be heard absolutely everywhere. It was that precise moment in time where a love affair began as I became obsessed with The Beatles and John Lennon. My mother had taken notice of my new found fondness and decided to break out her old Beatles records and give me a history lesson on the best band that had ever lived. There was Sgt. Peppers, Abbey Road, and Rubber Soul. But of all of them, it was Beatlemania! With The Beatles, that resonated with me the most. There was something so captivating and hypnotic, yet mysterious about the cover. It was the one with the iconic shot of the fab four's faces lit up on the right side, with the left side fading to black. This album helped me identify all four members of the band easily and to learn all of their names. Fast forward two months later on December 5, 1980, my mother had taken me to the local mall to do some shopping for my dad’s birthday which was just 4 days later. We were strolling around a big department store and I remember turning a corner only to come face-to-face with an enormous stand-up display of the Double Fantasy album with stacks of vinyl all around it. Needless to say, my dad's birthday gift was chosen. On the morning of December 9th, I woke up early, jumped out of bed and proudly marched down the hall towards the kitchen to give dad his birthday present. I couldn’t wait to see the look on his face to see what we had got him, but as I entered the room I couldn't help but notice it wasn’t your typical joyous birthday atmosphere. I handed dad his gift and felt confused when his face didn’t light up as expected when he tore off the wrap and realized what it was inside. “Should we tell him?”, he said to my mother, shortly followed by her having a hell of a time trying to explain in the simplest terms the tragic events that had unfolded in New York City just hours prior. No matter how she tried, nothing made sense. The only thing raveling thru my 5 year-old mind was, "Why would someone want to hurt a man so beloved by millions?" It was just too heavy for a 5 year-old to digest, and it was this that was my earliest memory of what a broken heart felt like. Over the years, the songs on Double Fantasy have given me different meaning as I’ve endured different periods in life. Most notably “Beautiful Boy”, a track Lennon had written for his young son Sean, is what immediately popped in to mind the moment I held my new born son in my arms for the first time. Although it’s been 30 years since the world lost this great icon, the music, the legacy, and message of peace that Lennon had heavily endorsed himself still stands strong to this day. History always finds a way to repeat itself, and with every passing generation, it’s just like starting over. As I wise man once said, “we all shine on, like the moon and the stars and the sun”.